It is difficult to establish a price list to cover every situation and option.. Please contact me so that we may discuss the photography you have in mind and I will be happy to calculate an estimate. I have included some typical prices for your consideration. Studio sessions of one hour or less begin at $65.00 with one 8x10 finished print of your choice included. Additional time is $30 per half hour. A preview session will be scheduled to view your images on my calibrated computer monitor. Out of town clients may have previews posted online for an additional fee. 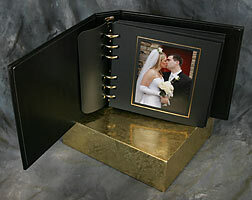 Paper proof portfolios with six images per 8x10 page are available for $6.00 per page. There will be an additional charge for location work depending upon travel and equipment requirements. Studio type lighting and a background may be utilized at your location for an additional fee of $75.00. The Session fee, and Studio setup fee if desired, is due at the time of booking. These total wedding packages include a consultation session, coverage of your wedding, a session for viewing and selecting images, and a beautiful Renaissance album complete with professionally finished photographs. A digital image will be emailed to your newspaper upon request. Renaissance albums carry a lifetime warranty. 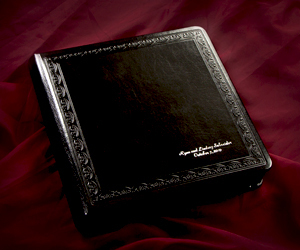 The album included in package E is an Art Leather Album. A Viewing Session will be scheduled for you to see your previews. During this session, you will have the opportunity to select images for the wedding album. Each image will be carefully adjusted and cropped for the most aesthetic composition. Minor retouching will be included on digitally captured images. Your images will be professionally printed by one of the most respected labs in the U.S. and finished with a protective luster coating. Please note that previews will be shown on my computer monitor. Previews will not be printed unless they are requested and paid for in advance. Additional cost previews include a proof portfolio, 4x5 prints, and on line viewing. The price depends upon the number of images. designed to hold up to 36 4x5 prints. necessary to rotate the album to view the prints. price of $8.00 per print and the album is free! of your choice for $192.00 plus tax. 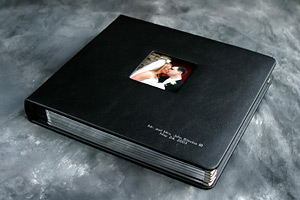 Wedding albums with additional pages, folios, and preview albums are also available. Please inquire for prices. Please inquire if there are other items you are interested in. If you would like portraits made like those in my Wedding Gallery, complete with studio lights and a background, there will be an additional setup fee of $75.00 with the exception of Package A and Package B where it is included. The studio setup will allow professional portraits without distractions in the background. It is an excellent opportunity to get quality portraits of the bride, groom, bride & groom, parents, family members, etc. Booking and Payment: A non-refundable retainer fee equal to one-third of your package is required to reserve your date and time and is applied to the package price. A second payment equal to one-third of your package price is due two weeks before the wedding. The balance of the wedding package is due at our meeting to view the proofs and must be paid prior to ordering an album. 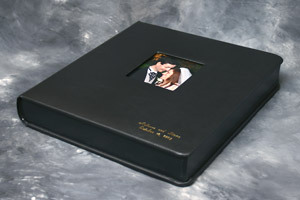 Proofs are normally viewed two to three weeks after the wedding. Please inquire if there are questions or other items or services that you are interested in. Package prices are available for groups or organizations such as teams, dance groups, bands, school dances, proms, etc. If a number of subjects will be having a photo made, the location fee and the studio lighting fee may be reduced.